In this day and age, whenever we see someone with a backpack behaving ‘suspiciously’ in a public space, we immediately freak out, even though there’s almost always nothing to worry about. Then why are we still so fearful? That’s discussed in Thin Ice, a short film about society’s fear of terrorist attacks and the impact that has on everyday life. Thin Ice takes place in and around the lost-and-found booth of a local ice skating rink. When an employee at the booth sees a man with a suspicious backpack behaving strangely, his mind goes crazy. The film stars Achmed Akkabi and Claire Bender. 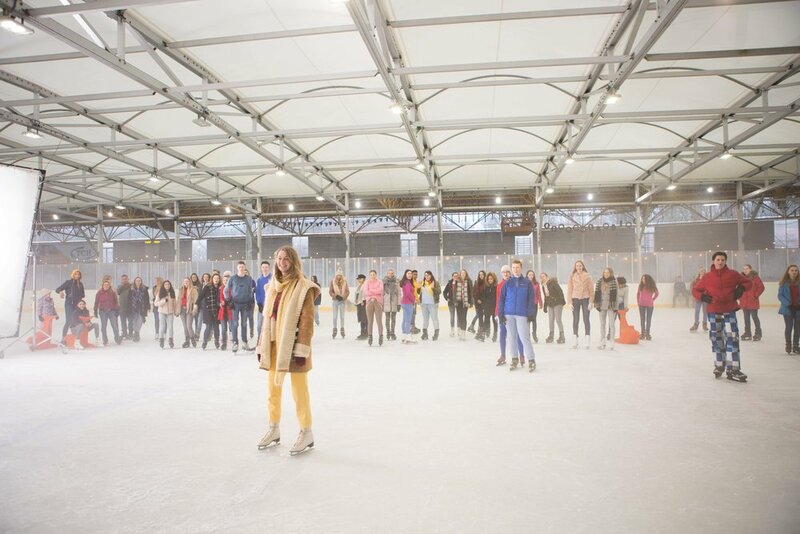 Thin Ice received support from Fund Z.O.Z., part of the prestigious Prince Bernhard Culture Fund. The film was also successfully funded through a CineCrowd crowdfunding campaign. In September 2017, the film won a ShortsTV Pitch Prize at the Netherlands Film Festival. Thin Ice also won the 2017 'Pitching on the Square' Prize at the Rotterdam Pleinbioscoop, Europe's largest outdoor movie theater.